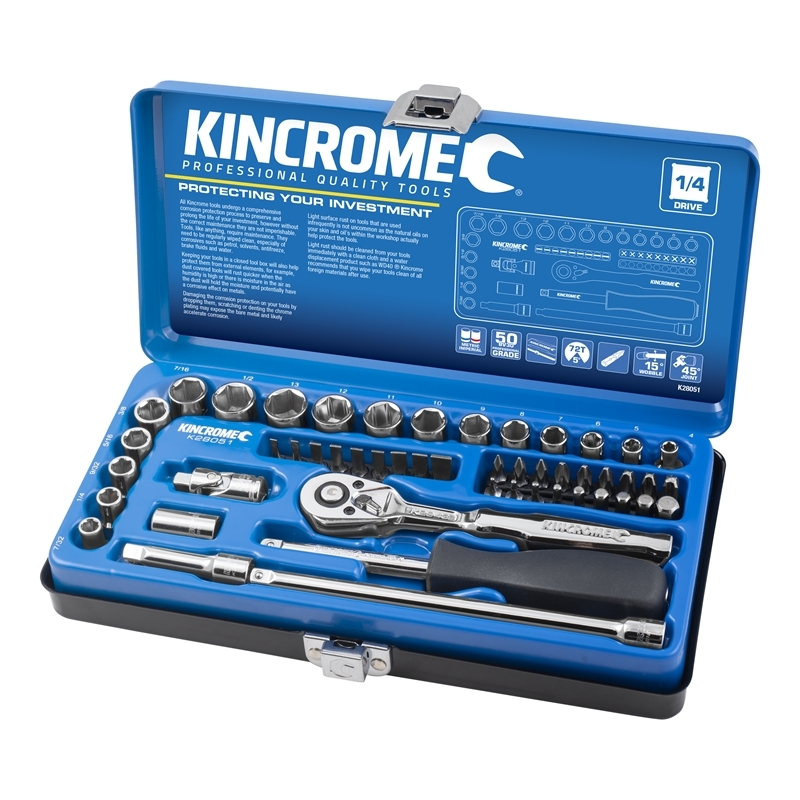 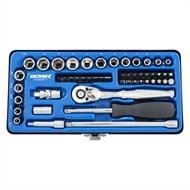 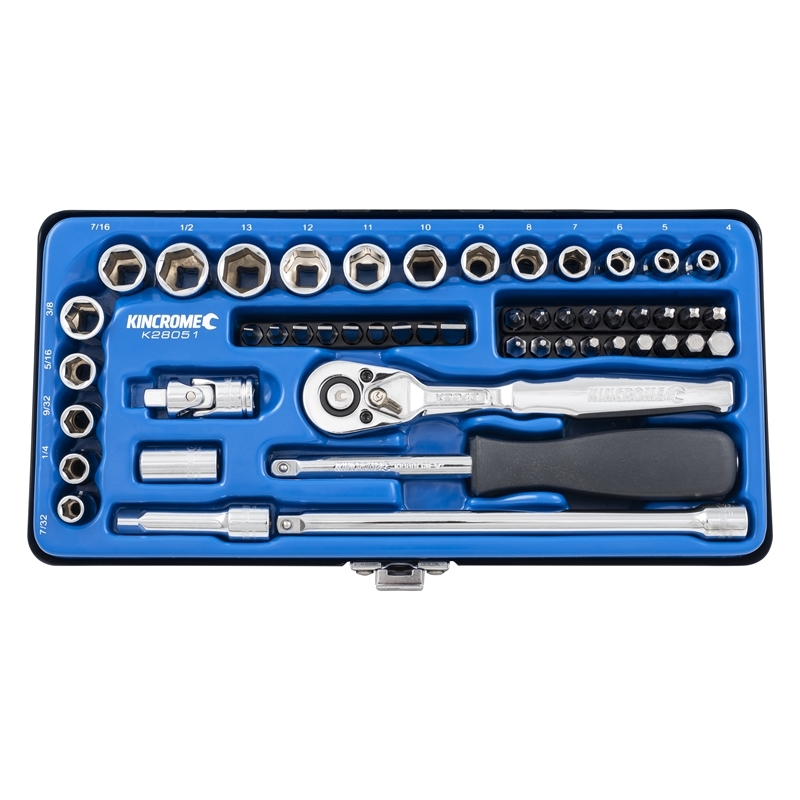 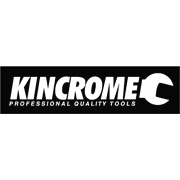 The Kincrome K28051 socket set is perfect for any professional application, complete with a 1/4" ratchet and assorted metric and imperial sockets. 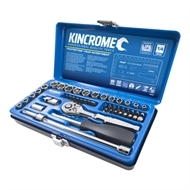 Manufactured from chrome vanadium steel, these sockets have been hardened, tempered, chrome plated, and polished for corrosion protection. 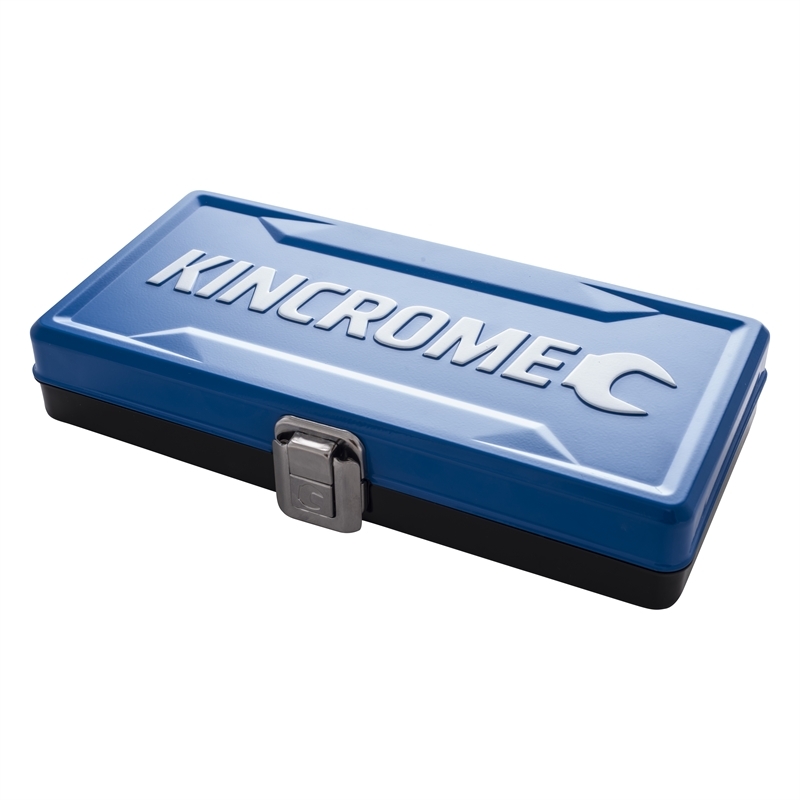 All protected by a sturdy machined tin.